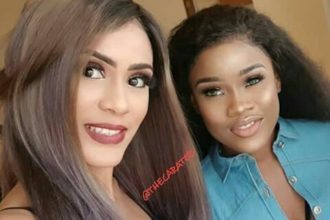 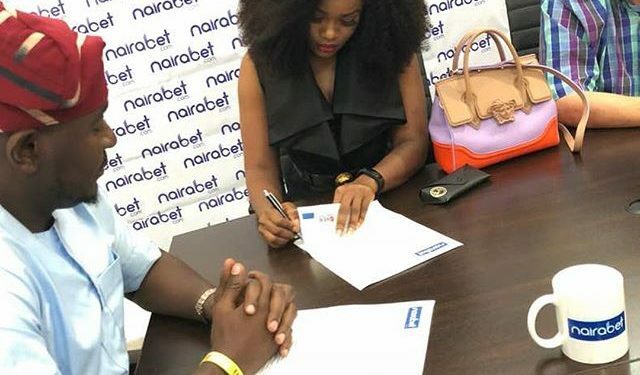 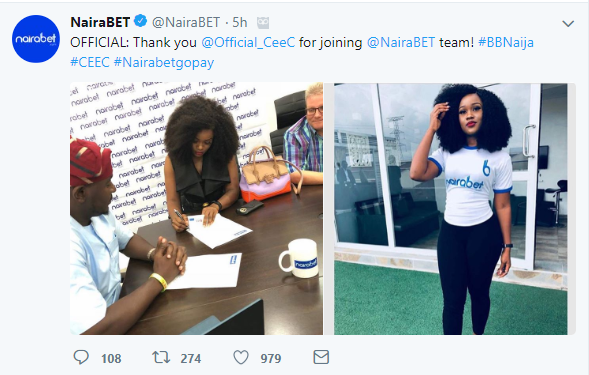 Nairabet have announced former #BBNaija housemate, Cynthia Nwadiora, popularly known as Cee C as its latest ambassador. 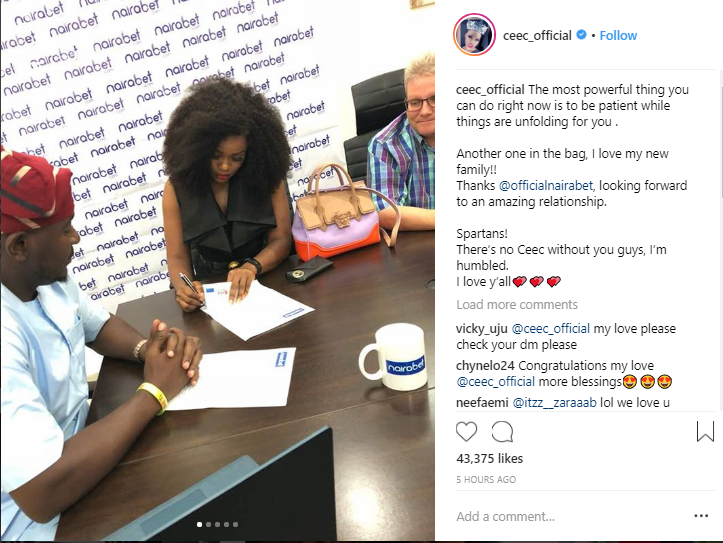 Cee C also took to her Instagram to announce the good news to her teeming fans. 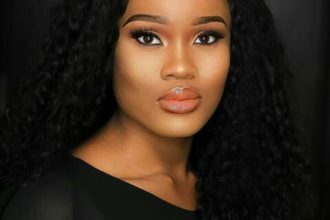 She said: The most powerful thing you can do right now is to be patient while things are unfolding for you .